Join Grandma and Grandpa Frog as they leave the pond to plan a big surprise. Help them keep a look out for their cheeky Grandfrogs, who pop up in unexpected places! ​Featuring puppetry, Makaton and plenty of audience interaction, Ribbet Ribbet Croak is a playful multisensory exploration of frog life. Ribbet Ribbet Croak is suitable for complex needs audiences and groups. We also offer a discount for local families and special deals for school parties. Locals discount: All tickets are £5 each / £16 family of 4, for people living in Church Street Ward postcodes: NW1 5**, NW1 6**, NW8 7**, NW8 8**, W2 1**. Please buy at The Cockpit and bring proof of address. 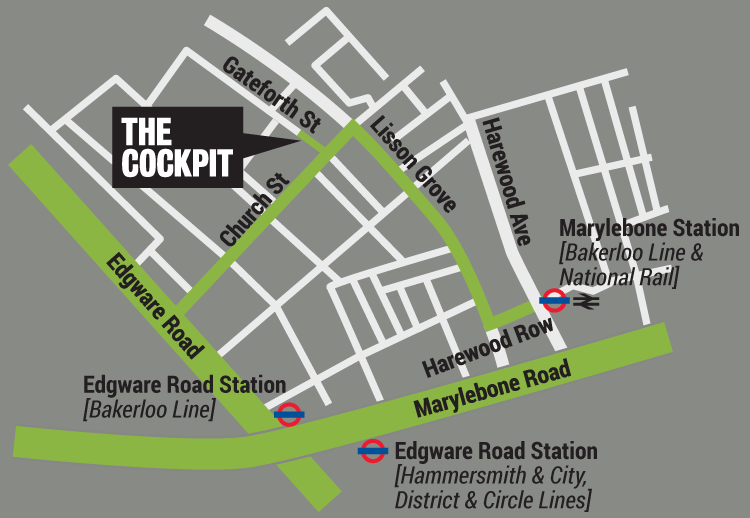 E-mail - kids@thecockpit.org.uk for details or call us on 0207 258 2925 12 till 6 Mon-Fri.